http://www.arr-software.org/arr_pdfs/ARR_Book9_FinalDraft181204.pdf and the web version is at http://book.arr.org.au.s3-website-ap-southeast-2.amazonaws.com/. Over the past 12 months the Stormwater Australia Board has been working hard to develop a Board Charter and establishing key Board Committees to support the Board in its work. These have now been finalised and are an important part in ensuring roles, responsibilities and decision making are enshrined in a sound governance framework. Motions recommened by the Board for consideration at AGM include appointing new leadership and exploring new models for collaboration with states. These provide an exciting prospect for Stormwater Australia into the future, and the Charters provide sound starting point for this next phase of the journey. The International Water Association (IWA) has awarded its prestigious 2018 Global Water Award to Professor Tony Wong. This biannual award recognises individuals who through innovative leadership and practice are driving change in water management. 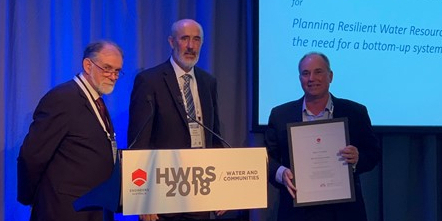 The award citation recognised Tony’s pioneering program of work – the Water Sensitive Cities approach, which uses unique socio-technical approach to concurrently addressing the social, environmental and economic challenges of traditional urban water management. Stormwater Australia is the peak body representing the interests of stormwater practitioners nationally. As a grass roots, largely volunteer resourced organisation we seek additional Board members for our national board. Director Nominations - opens 15th September and closes 29th September 2018. 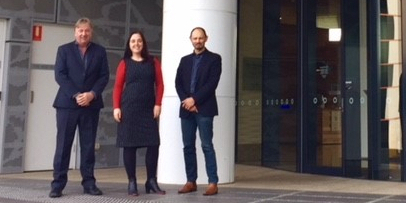 Stormwater Australia is always proud to bring the observations of international experts to contribute to the Australian narrative around practice. This year we are delighted to hear the views of Andy Reece, Vice President and Principal Consultant, The Wood Group, Tennessee. 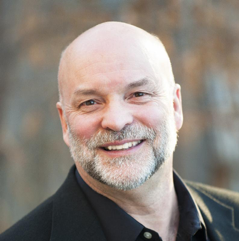 Andy will offer his reflection on where current Australian practice sits and contrast it with experiences in the USA. In the past 20- 30 years America has seen a quantum change in practice, borne largely by the realisation that a fundamental shift was required in how stormwater management is funded and accountability assigned for action. According to Andy, Stormwater has can be seen as the "wild child" among the three siblings in the water management family (the others being water and wastewater). While the other two are well educated, married, have houses, and steady jobs, stormwater is that one who left college, hiked through Nepal and now lives in his parent’s basement playing drums in a band! The conclusion- it’s time for Stormwater to ‘grow up’. The Federal Budget – a Whole World of Red Ink for Stormwater?